Imagine today’s world without computers – imagine further – a world of ciphers, secret letters, code breakers and secret intelligence centres – this is the stuff of which movies are made. In this case, however – it is all really true. During WW II, it was the code-breakers, working ceaselessly at decoding and deciphering secret enemy documents in secret centres that were vital to the success of Britain and its allies in their war against the Nazi enemy. While war clouds were gathering over Europe, Admiral Sir Hugh Sinclair, (head of MI6), purchased a suitable site for the use of MI6 and the Government Code and Cipher School which moved there in 1938. 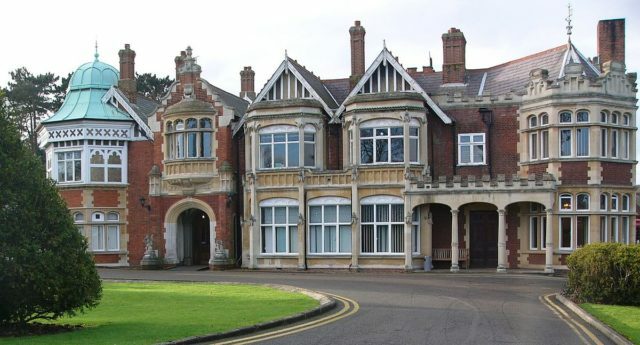 The site, Bletchley Park, was ideal for the highly secretive work for which it was intended. It is located in Buckinghamshire and was centrally situated, about 80 km North-West of London. It was located near to railway systems, allowing convenient connections to main lines, it was close to both Oxford and Cambridge universities from where a large number of code-breakers were expected to be gained and also had the major lines of communication available, most necessary for the large volume of usage needed. A Mark 2 Colossus computer. The ten Colossi were the world’s first (semi-) programmable electronic computers, the first having been built in 1943. Alaistair Denneston, (Ops Head, 1919 – 1942) moved to BP with, amongst others, the gifted cryptanalysts – Tiltman, Knox, Cooper and De Grey. Specialists in the fields of linguistics, mathematics and engineering were gathered there, as well as lateral thinkers such as chess masters and cryptic crossword champions – all to help in the war effort. By January 1945, (probably the peak code-breaking time) there were over 9000 persons working at Bletchley Park, which also housed the Military, Naval and Air intelligence sections as well as MI6. Many of the personnel were resident in the huts provided for them within the grounds while others were situated in the nearby town or surrounding villages. Later, when America joined the war, cooperation between the British and the American intelligence services was undertaken and American cryptographers were also assigned to a hut. Little did the residents of the nearby villages know of the well-kept secrets of Bletchley Park. The villagers called these ‘strange’ person eccentrics and many thought it was used as an asylum to house unbalanced inmates. All of this was to disguise the real truth which was that a gathering of highly specialised, intelligent persons were working around the clock, in 8-hour shifts, in order to collect, translate and decode enemy communications. There were many strategically placed listeners who intercepted secret, coded radio messages and forwarded them to B.P. where the considerable facilities of this establishment were utilised to interpret these coded messages. A combination of brilliant minds conceived various devices and worked together to crack the numerous codes used during the war. Since the enemy was using electromagnetic cipher machines it was vitally important to find exceptional mathematicians. It was imperative to the allies to be able to crack the German Enigma cipher. The allied code-breakers had found small flaws in the system which made it vulnerable to code-breaking – yet it took particularly concerted, consistent and mind-bending work before this code was finally cracked – allowing the translation of enemy communications. Among the many other persons of note working at Bletchley were James Ellis, a gifted cryptographer, and mathematician whose code-breaking work there paved the way for modern methods for keeping computer systems safe from digital terrorism, while Tommy Flowers a highly thought of engineer developed an automatic machine aptly named the Colossus. 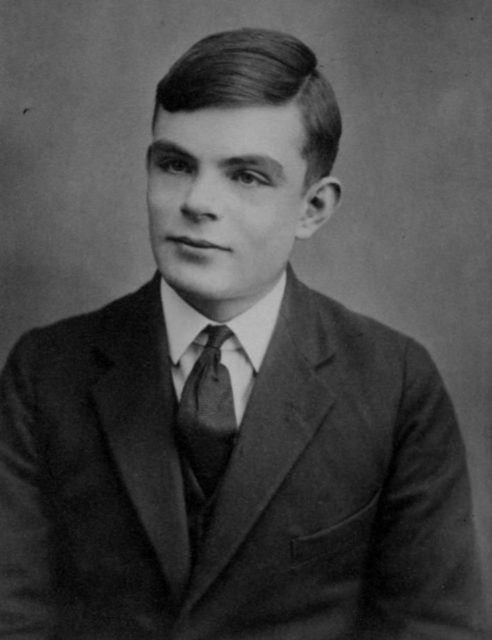 Passport photo of Alan Turing at aged 16. 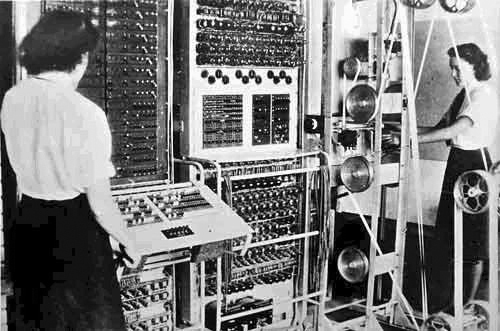 The Colossus helped to crack the Lorenz code and is generally thought to be the first programmable, digital, electronic-type computer. While it is not possible to actually measure the value of the work done at Bletchley, both Apple and Google recognised and commended the code-breakers, paying tribute to the importance of the work – both during the war and that it has aided the advancement of today’s technology. 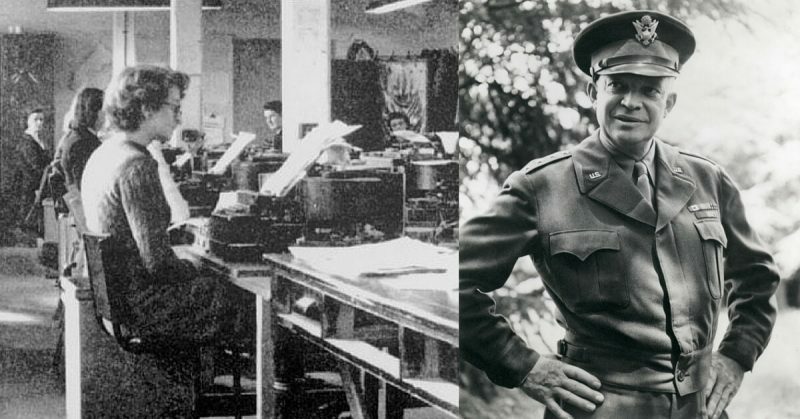 With the collection of these brilliant persons all working solidly and under great pressure, Bletchley Park was able to read messages from the German Forces, their secret services and even some letters from the desk of Hitler himself. They were also able to decipher Japanese and Italian messages after having cracked the Italian and Japanese ciphers. Part of the successes they achieved has been put down to the fact that they managed to keep their “Ultra” secret from the enemy. 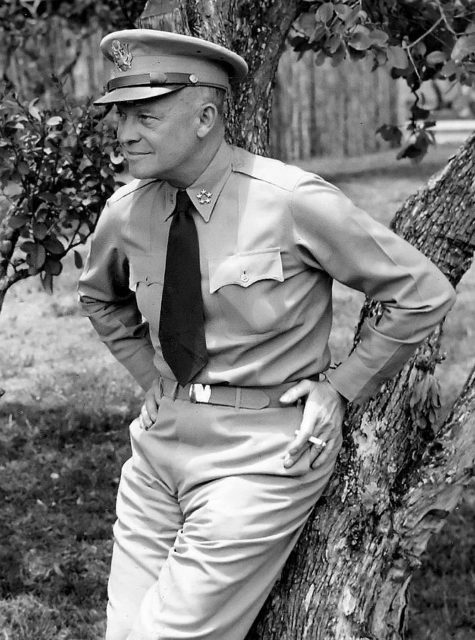 A secret letter, dated 12 July 1945, from General Eisenhower to Sir Stewart Menzies, was finally made public on 14th March 2016. It was displayed at Bletchley Park which today is a heritage site Museum. It highlights the importance the US Government attached to the work of the Bletchley Park code breakers in defeating the Nazis. His “heartfelt admiration and sincere thanks [regarding] the intelligence from Bletchley Park [which had] saved countless British and American lives and … contributed to the speed with which the enemy was routed and eventually forced to surrender”. While it is not possible to actually measure the value of the work done at Bletchley, it is generally accepted that the “Ultra Intelligence” received from Bletchley Park radically aided the Allies against the Afrika Corps, alerted the Soviets to German intentions, helped the British Navy to victory in a number of Naval battles and was of paramount importance to the success of D-Day. It is generally agreed that to “Ultra” must be given the recognition for having helped shorten the war by between two to four years – thereby saving countless lives – a most worthy accolade.